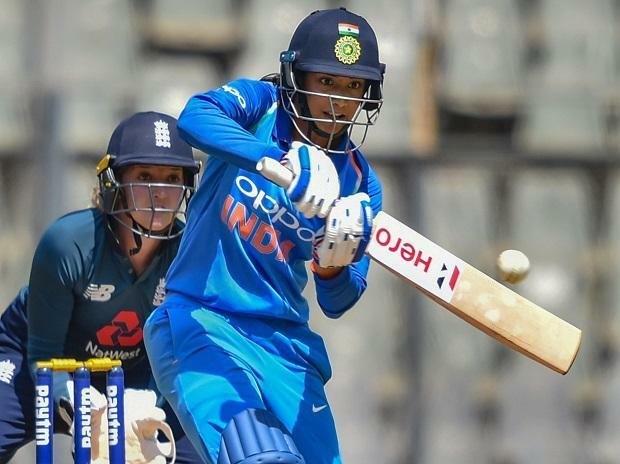 Indian women's team defeated England by seven wickets in the second ODI to take an unassailable 2-0 lead in the three-match series at Wankhede Stadium in Mumbai on Monday. India chased down the below-par target of 162 runs in 41.1 overs as Smriti Mandhana scored her 19th ODI fifty while Mithali Raj hit 69-ball 47 runs. Earlier, Pacers Shikha Pandey and Jhulan Goswami snapped four wickets each as India women bowled out England for a paltry 161 in the second One Day International here Monday. Shikha (4-18) and Jhulan (4-30) troubled the visitors with their fiery spells. The duo was well supported by spinner Poonam Yadav (2-28) as the visitors put a sub-par show after opting to bat at the Wankhede stadium. This was Shikha's best performance in the 50-over format. Only Natalie Sciver (85), who hammered 12 fours and a six, put up a fight for England and was the last woman to be dismissed. Earlier, Amy Jones (3) became Shikha's first victim. Sarah Taylor (1) too fell cheaply after she dragged onto her stumps off Jhulan, with the visitors teetering at 11/2. Jhulan also got the prized scalp of Heather Knight (2). But then Sciver and opener Tamsin Beaumont (20) tried to steady the ship with their 30-run fourth wicket stand. However, Deepti Sharma took a blinder to dismiss Tamsin off Shikha. After Tamsin mistimed the slog-sweep, Deepti ran towards the boundary from square-leg and took a diving catch leaving England reeling at 44-4. Then Sciver and Lauren Winfield (28) played with ease to stitch a 49-run stand for the fifth wicket. But after all the hard-work, Winfield threw her wicket away. Shikha, in her final over, struck twice, reducing England to 95/7. However, Sciver added 42 runs with Alex Hartley for the last wicket to ensure that the visitors crossed the 150-run mark.